Note: One of my pet peeves is "before and after" photos (for anything: makeovers, weight loss, home improvement, etc) where the before photo is poorly lit, grainy, and taken from an unflattering angle. Of course the "after" photo looks better when the "before" looks terrible! If you also experience this pet peeve, be warned: I am about to do exactly that. Dan and I celebrated our third wedding anniversary back in September. The traditional gift for 3 years is either glass or leather. We could have exchanged vases and wallets, but I was looking for something a little more creative. So, we put in a stained glass window! Most of the homes in our area (including ours) are Craftsman style, built in the early 1900s. Many of these homes feature beautiful stained glass windows which add so much personality and character. I've been a little jealous, so for our "glass anniversary" we thought, "Hey... Let's put one in!" We even had the perfect spot, a wide window high on the wall in our front room. The window itself was old, damaged, dirty, and full of bugs and leaves. Here's the crummy "before" photo. 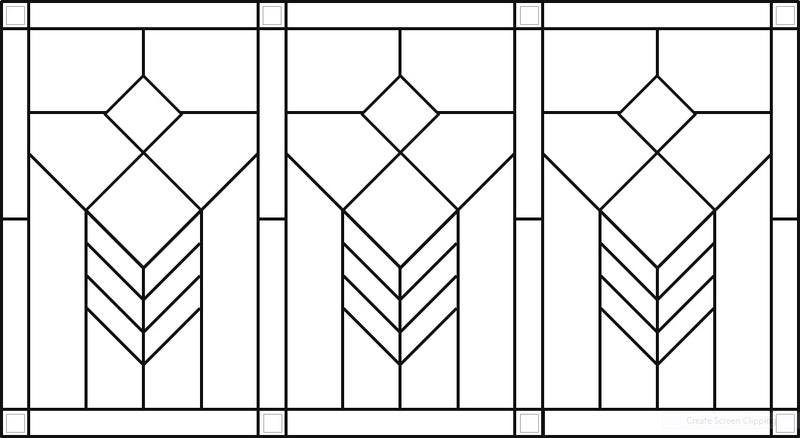 We started by contacting a local stained glass shop to get an estimate and discuss design options. I was pleasantly surprised by our amount of involvement in the process. I expected to provide some styles or examples and receive a sketch or two back to choose, but I was actually able to sketch the design myself! I based the design on early 20th century prairie style. It's at least period-appropriate for our house, even if it doesn't perfectly match our architecture. I still have to do a little touch-up painting on the window moulding, but I absolutely love the finished window. The colors change depending on the lighting, looking paler in bright sun and more saturated on cloudy days or in the evenings. It's a beautiful focal point for this room, and one of the first things I notice every day when I walk through the front door. It's also a great reminder of our three wonderful years of marriage! What an inspired anniversary gift to celebrate year #3. It looks fabulous! Thanks :) I love it so much!